With De Blasio’s declining approval rating, yet seemingly comfortable re-election lead how will the Democrats fare in the City Council? 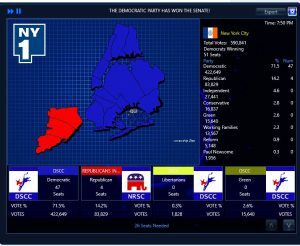 After Michael Bloomberg’s Third Term, Democrats are expected to sweep the Mayoral,Public Advocate and Comptroller races. 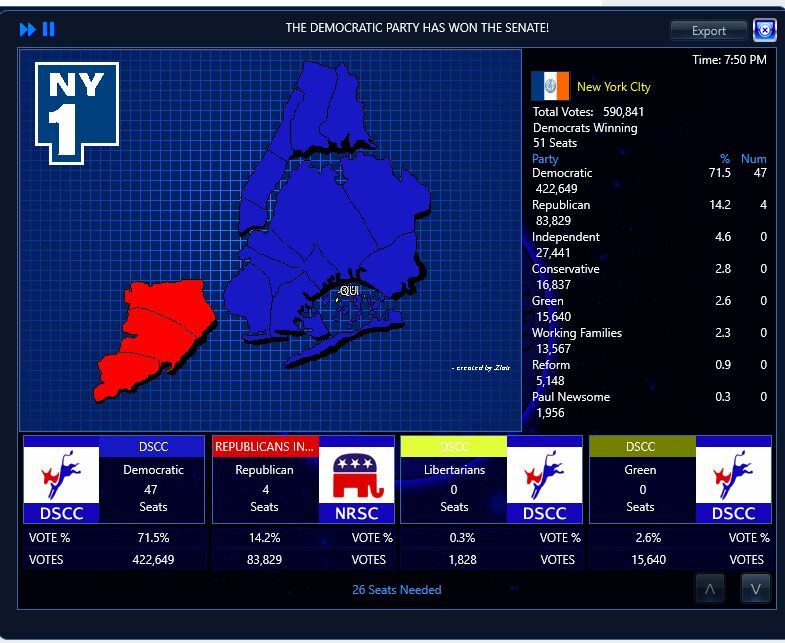 In this climate, how many seats can opposition parties win in the City Council? 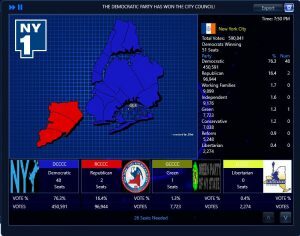 After a victory for the Courier in the mayoral election, the other parties turn to controlling the City Council instead. Freeside League running in four. 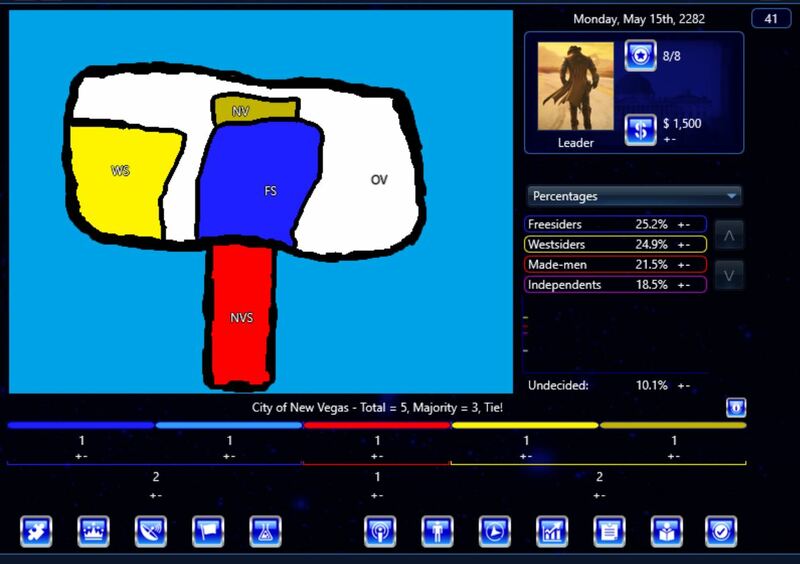 This Congress Infinity mod accompanies the New Vegas Mayor 2282 mod for President Infinity.